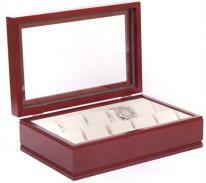 It's hard to find women's watch cases and jewelry boxes designed to hold ladies watches. 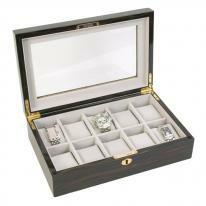 We've put together a collection of gorgeous watch cases and watch jewelry boxes for women's watches. Some are just for watches, others have divided storage sections in addition to dedicated watch pillows to hold women's watches in addition to other jewelry. 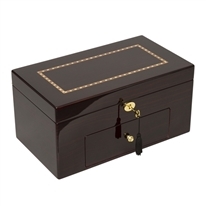 If watches are a part of your jewelry collection, these wood cases and watch jewelry boxes are the perfect storage solution! If you don't see the women's watch cases or watch jewelry boxes for ladies watches that you are looking for, we welcome your call or email. 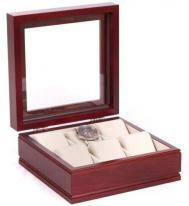 All of our watch boxes & watch cases for women qualify for easy 30 day returns and 1 year product warranty.